The Sabrina chair is the new flagship task chair born from the most recent collaboration between the Okamura Corporation and Giugiaro Design. 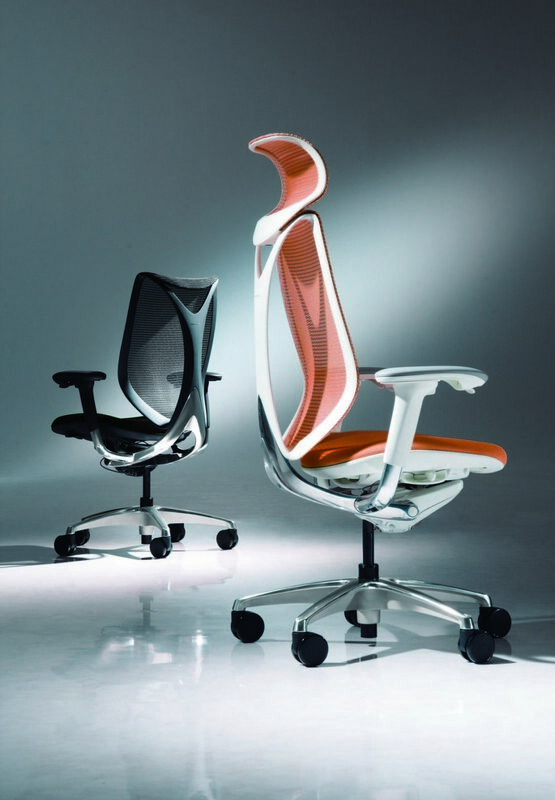 The Sabrina chair is the new flagship task chair born from the collaboration between the Okamura Corporation and Giugiaro Design. Sabrina merges high-class styling and technology seamlessly, incorporating fully adjustable armrests with Okamura‘s standard smart operation levers that adjust the seat height and lock the reclining mechanism. New is Sabrina‘s pioneering Quick Slide operation which allows the reclining tension to be easily adjusted for a wide range of users. Sabrina also has a patented system in which the “Ring Structure” allows the back frame to bend and twist to follow the natural movement of human body.